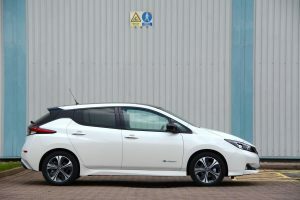 The first-generation Nissan LEAF was the original mainstream pure electric hatchback, way ahead of the competition. 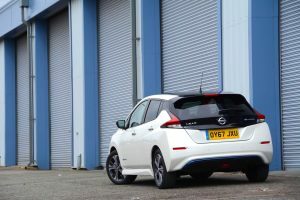 Now the competition is catching up, has the latest LEAF done enough to stay ahead? 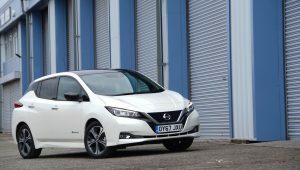 We all know that design is very subjective, but we have now discussed the styling of the new LEAF compared to the old model with a wide range of people, including owners of the old and new LEAF models, and the overall consensus is that people definitely prefer the styling of the new LEAF. It’s certainly sharper than the more rounded approach of the previous model. 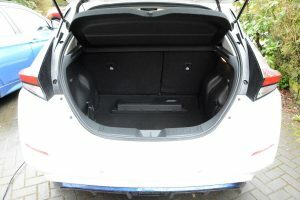 It remains a practical, five-seat hatchback with a decent-sized boot (385 litres up to the parcel shelf). The interior has also been updated, although there are certain elements that have been carried over from the old model. There are also many things that are unchanged under the skin, but the key headline of progress is the longer driving range: 235 miles based on the NEDC test. The electric motor also produces more torque. The new Nissan LEAF is responsive, smooth, refined and almost silent to drive. It also has good handling thanks to the low centre of gravity, due to the battery being low down in the floor. It’s also easy to drive as there’s no clutch or gears. However these features apply to all EVs. So what’s different about the new LEAF? Well, there’s the option to switch the regenerative braking on or off. However rather than calling it regenerative braking, on the new LEAF Nissan has called it the ‘e-Pedal’. Switch it on, and when you lift off the accelerator, the car slows down, so you can drive the LEAF with just one pedal (like the BMW i3). Switch it off and the car doesn’t slow down so sharply when you lift off. Whether you like the e-Pedal on or off is a matter of personal preference. We prefer the driving experience without the e-Pedal in everyday driving, as it’s smoother (and unlike a Tesla, which shows you on the instrument panel, you can’t see if your brake lights are coming on during regen braking). However driving on twisty country roads, the e-Pedal works really well, as it’s like changing down a gear before entering corners. There’s also a button to select Eco mode, which reduces the responsiveness of the throttle, but ekes out a few more miles of range. For everyday urban use, the car is certainly better to drive in Normal mode, but selecting Eco mode on the motorway will help to improve the range and you shouldn’t notice the lack of response as much. There’s also a ‘Heat’ button, which you need to select to increase the temperature in the cabin, and using this will reduce the predicted range. Without the ‘Heat’ button selected, the infomedia screen doesn’t display any interior cabin temperature. However there’s also one final issue to mention: there’s no reach adjustment on the steering wheel. Combined with the fact that the driver’s seat doesn’t go very low, many people – especially those with long legs – may find that they just can’t get a comfortable driving position because they have to bend forwards to reach the steering wheel, which feels like it’s a long, long way from the driver’s seat. This certainly applied to us, and we found that we had to squeeze our legs between the seat and the underside of the steering column every time we got in and out of the car. 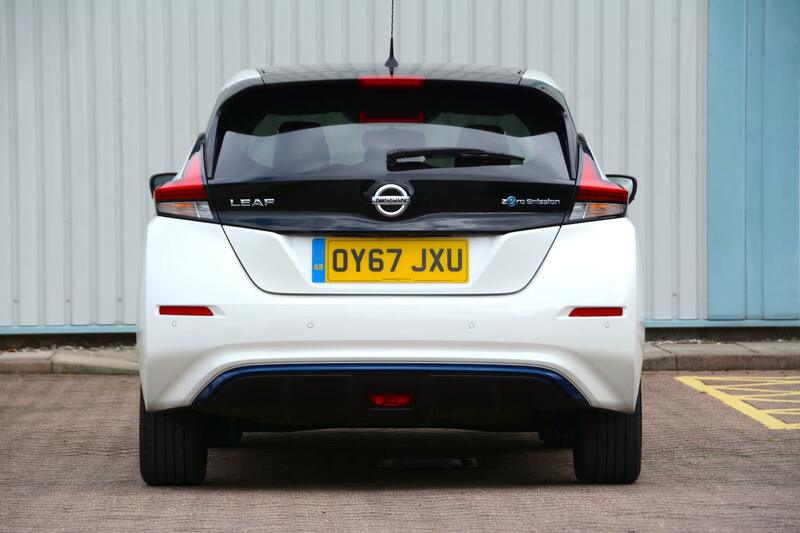 The official driving range of the LEAF is 235 miles based on the NEDC test, or 168 miles based on the new WLTP test. 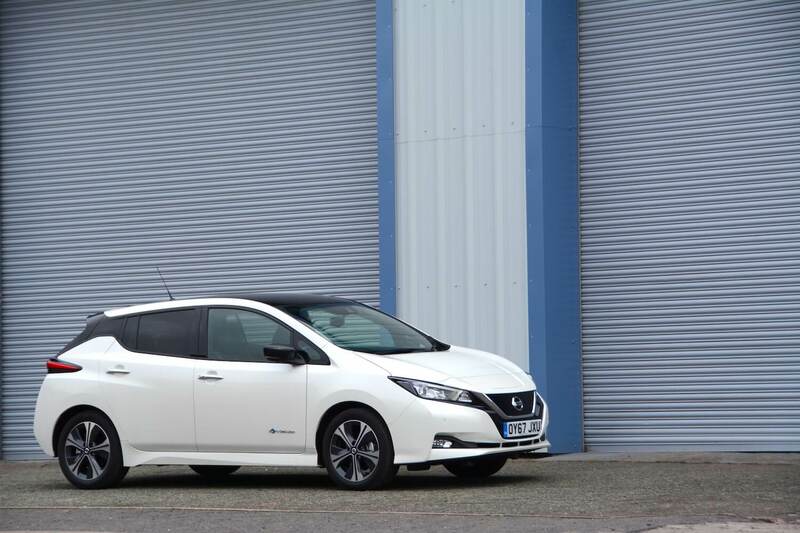 Nissan is also quoting a range of 242 miles based on the City element of the new WLTP test. After a week, with our typical mix of around 80% motorway journeys at an average of 70mph, our average real-world range was 150 miles. This would have been higher if all driving had been in urban areas. Selecting the Eco button added around 8 miles when fully charged, and selecting the Heat button reduced the range by around 10 miles. The electricity consumption figure based on the NEDC test is 146 Wh/km, and based on WLTP is 206 Wh/km. The LEAF features a 50kW Chademo Quick Charger and 6.6kW onboard charger. Charging times, from 0 to 100%, are quoted as 7 hours 30 minutes at 6.6kW using a 32A wallbox, or 21 hours with a 10A EVSE cable using a domestic socket. A zero to 80% charge can be achieved in 40-60 minutes using a 50kW Rapid DC Charger. 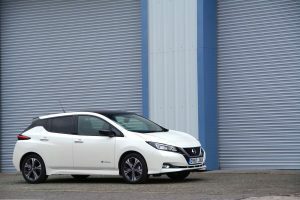 It’s worth noting that an issue has been reported in the media recently about the new LEAF not being able to carry out repeated fast charges over a short period of time, which Nissan says is in order to protect the battery. 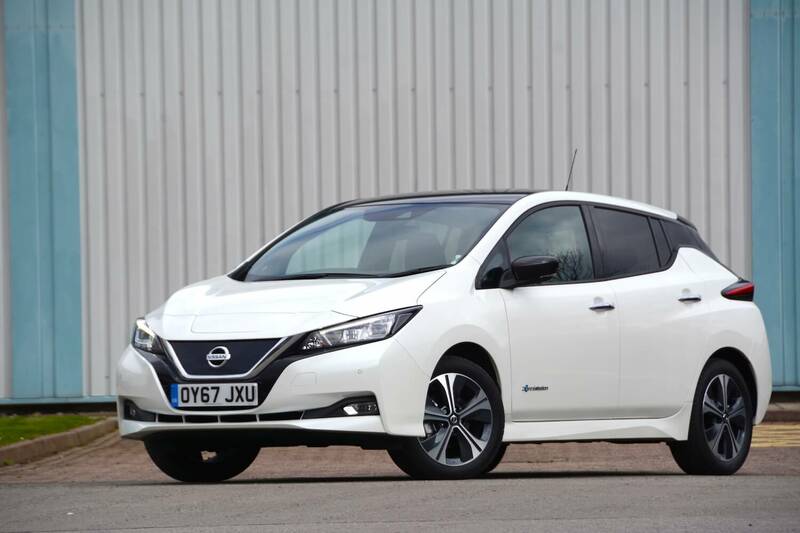 The Nissan LEAF Tekna 40kWh costs £28,390 after the government plug-in grant of £4,500. Our test car had two tone pearl white and metallic black roof, which cost £1,095, bringing the total price to £29,485. 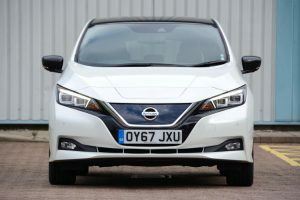 Trim levels for the new LEAF start with Visia, priced from an attractive £22,790, but Visia trim doesn’t include satnav, which we think is essential for an electric car. Acenta trim is available from £25,190, and N-Connecta is from £26,890. Tekna is top of the range and is the only trim level to feature the ProPILOT Driver Assistance System as standard. 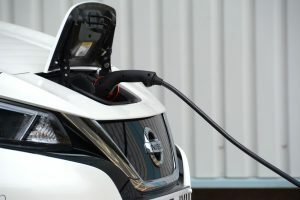 Running costs of electric cars are typically around one-fifth of those of petrol cars. There’s no VED to pay on pure EVs, but the government has increased benefit in kind on EVs for company car drivers to 13% in 2018/19, 16% in 2019/20, before reducing it back down to 2% in 2020/21. 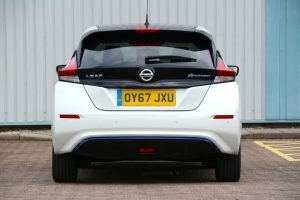 The new Nissan LEAF is without doubt an important car. With revised styling, a longer range, a practical body style, and a relatively affordable price, it will meet the needs of many people. It’s also great to drive, and it has zero emissions – but of course these are attributes that are shared with other electric cars. 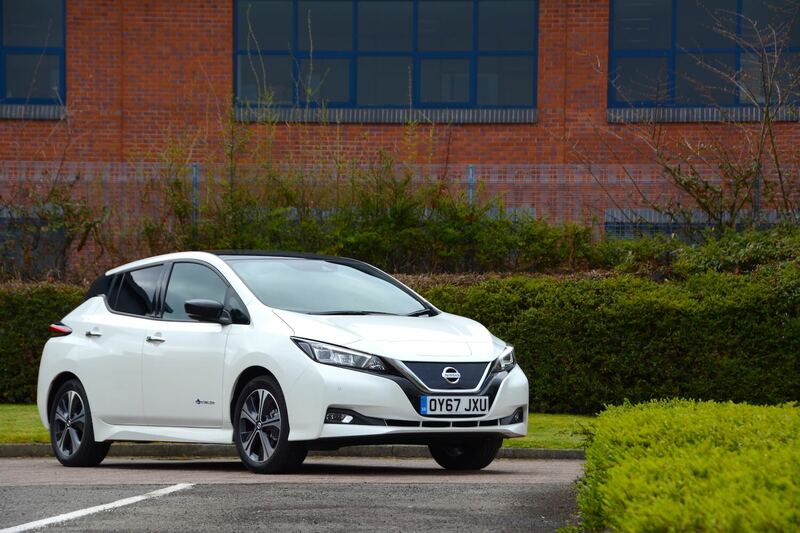 We’ve spoken to a number of owners of the new LEAF and they’re all delighted with the car. 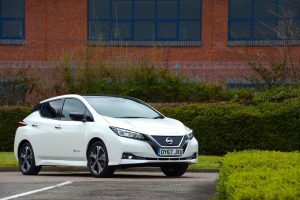 Every household should have a vehicle such as a Nissan LEAF for zero emission journeys in built-up areas – and for longer journeys where possible. 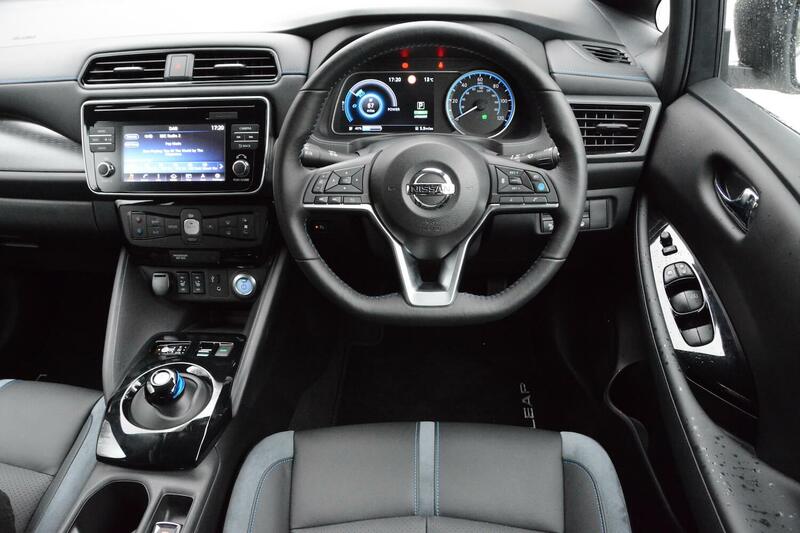 However there was just one main change that we wanted Nissan to introduce on the new LEAF, and that was a steering column with adjustable reach. This hasn’t happened – presumably because it was too expensive to engineer this in to the existing platform of the car. So the LEAF’s driving position may be acceptable for many people, but some people will really struggle to get a comfortable driving position. 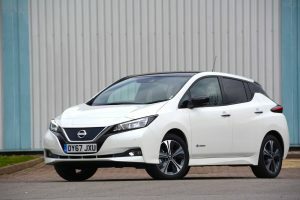 The good news for them – but the bad news for Nissan – is that there are now increasing numbers of rivals such as the Hyundai IONIQ Electric and Volkswagen e-Golf – that offer similarly impressive all-electric driving experiences, but also offer greater adjustability in terms of driving positions. Even the cheaper Renault ZOE has a steering column with adjustable reach. 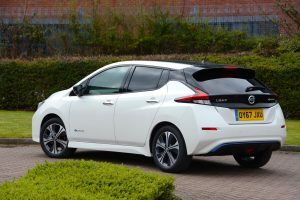 So the new Nissan LEAF should rightly be held up as a significant car, but it also needs to watch its back due to other EVs entering the market. 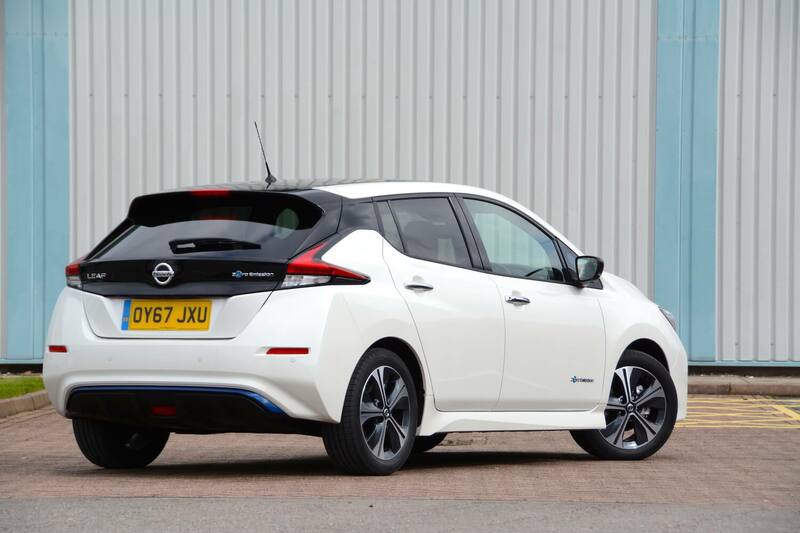 The new Nissan LEAF gains a Green Car Guide rating of 9 out of 10.